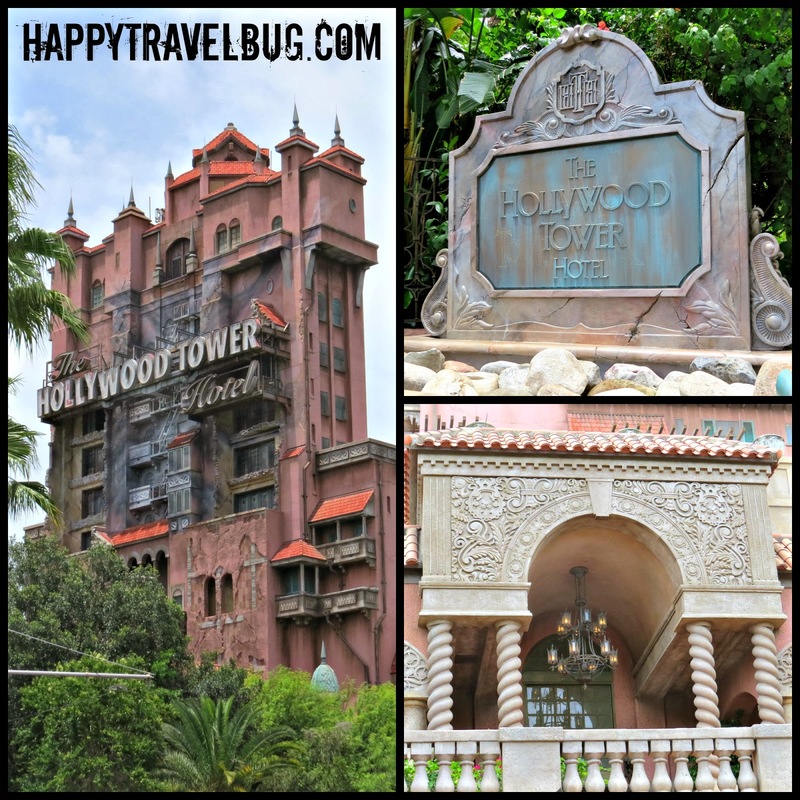 We spent the entire 6th day of our Disney trip at Hollywood Studios. Although I did have the park hopper passes, I didn’t use them every day of the trip. Some of our favorite things are at this park, so it was easy to spend the entire day there. Since my in-laws were along, we decided to spend the morning doing more chilled things. They aren’t thrilled with roller coasters. We tried that on the last trip and have a great picture of my father-in-law laying down on a bench by space mountain. 😉 So we started with the back lot tour. That is where we saw this old private plane that belonged to Walt Disney. We couldn’t keep the kids away from their favorite ride for long though. Tower of Terror has some great details on the building if you pay attention. While the kids rode this over and over, I had to stop after a few times. My stomach can only take so much! It rained A LOT this day and I was glad I had packed the ponchos. 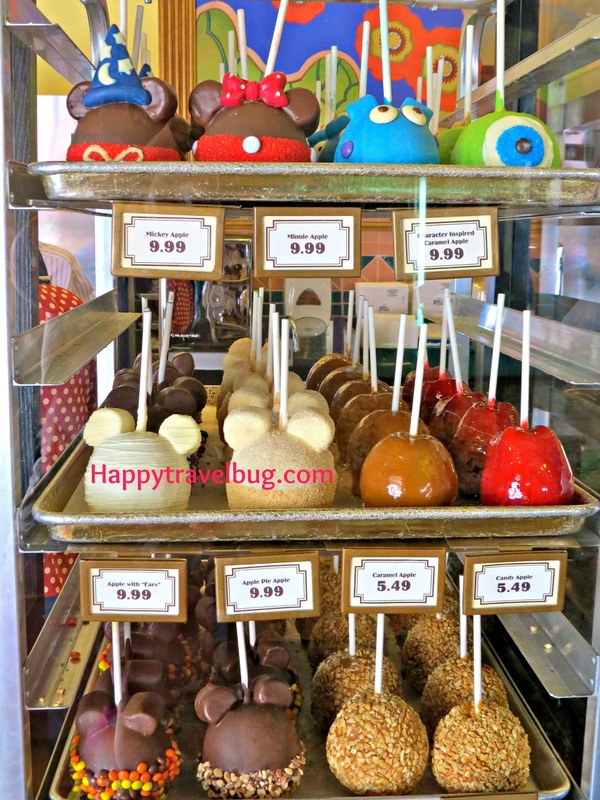 Check out my packing post for what else you need to take to Disney. 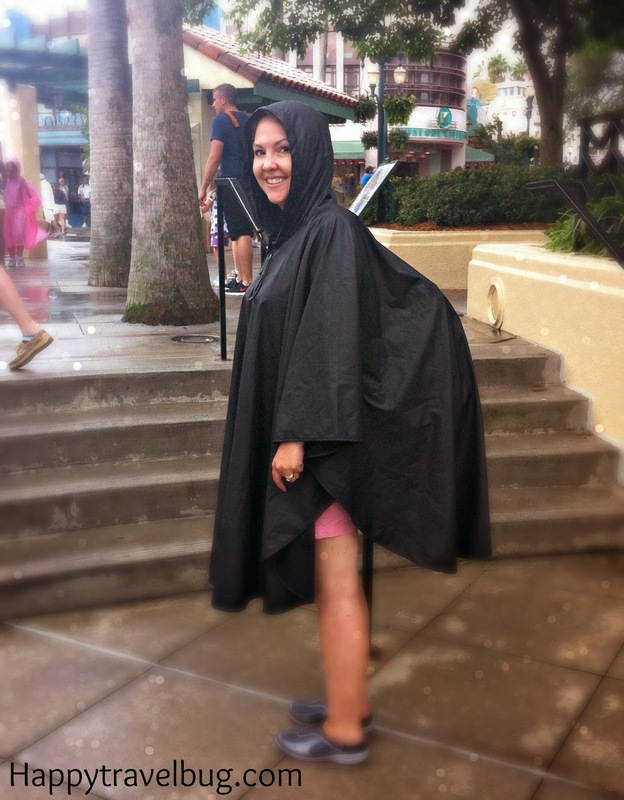 My daughter got this great shot of me as the “hunchback of Disney World”. I look like that because I have a backpack on under the poncho. Yikes! 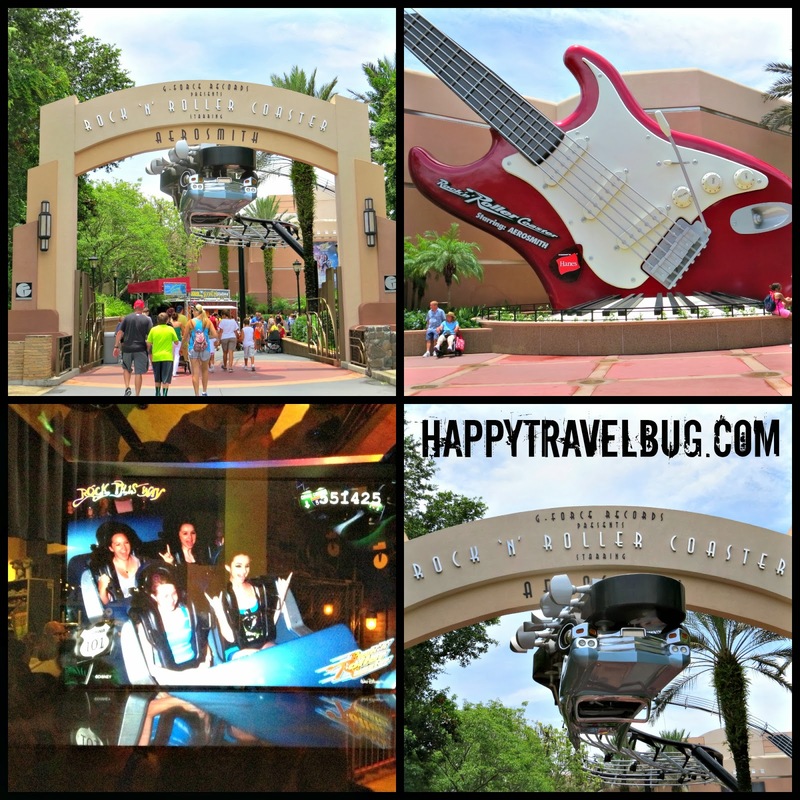 My favorite ride at ALL the parks is Rock ‘n’ Roller Coaster! I do ride this one as many times as my brain will allow. Who else loves it? 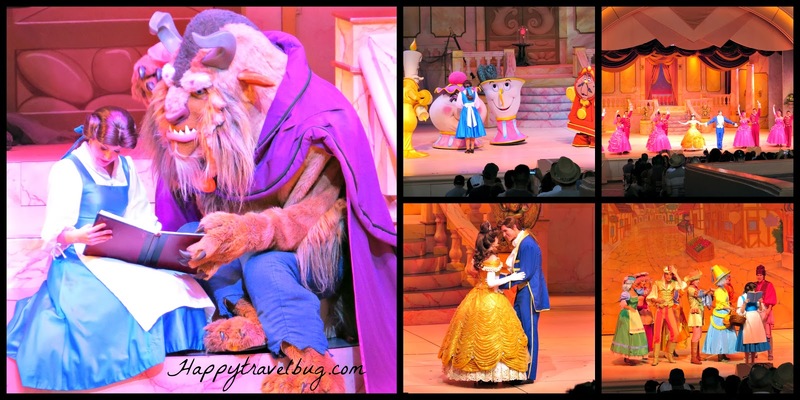 With treats in hand, we sat down to watch the Beauty and the Beast show. I had an encounter with a very rude lady while I was waiting for the kids to show up. I usually try not to get bothered by people like that, but this time I failed. 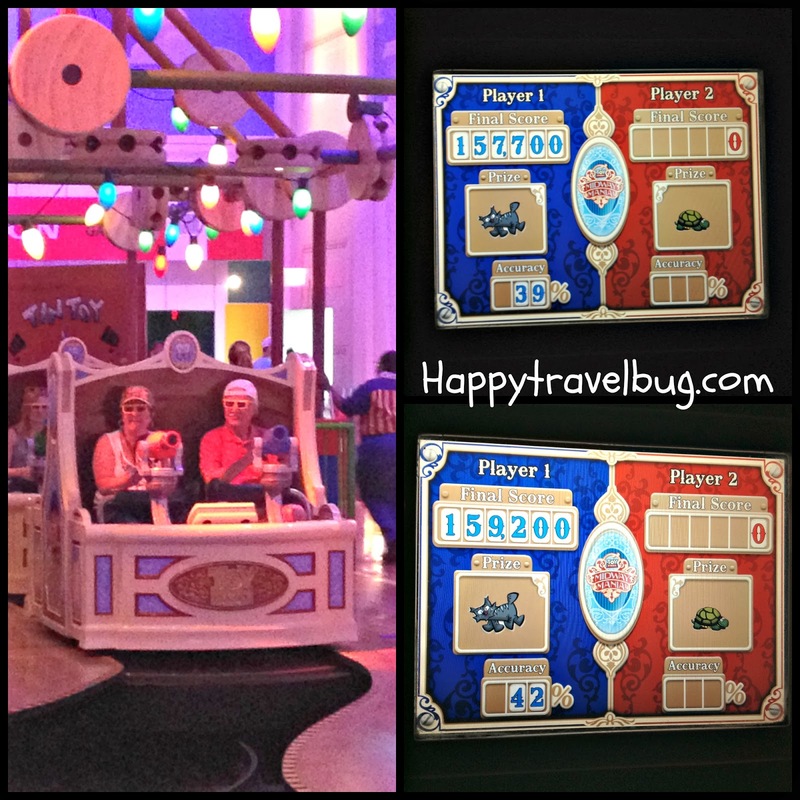 Luckily the show took my mind off of her negativity and brought me back to the Happy Travel Bug that I am! 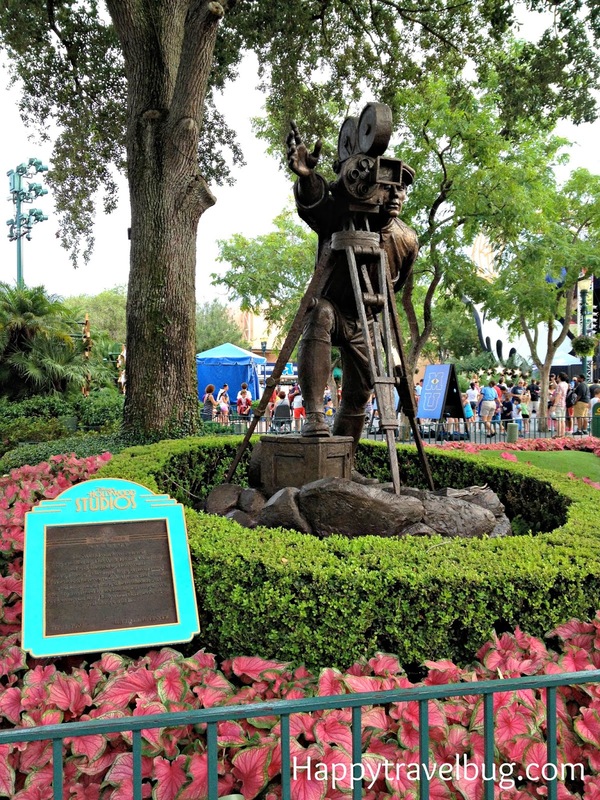 😉 Love the fact that shows like this are just part of the experience at Disney…no extra prices or hidden fees. Next up, dinner! 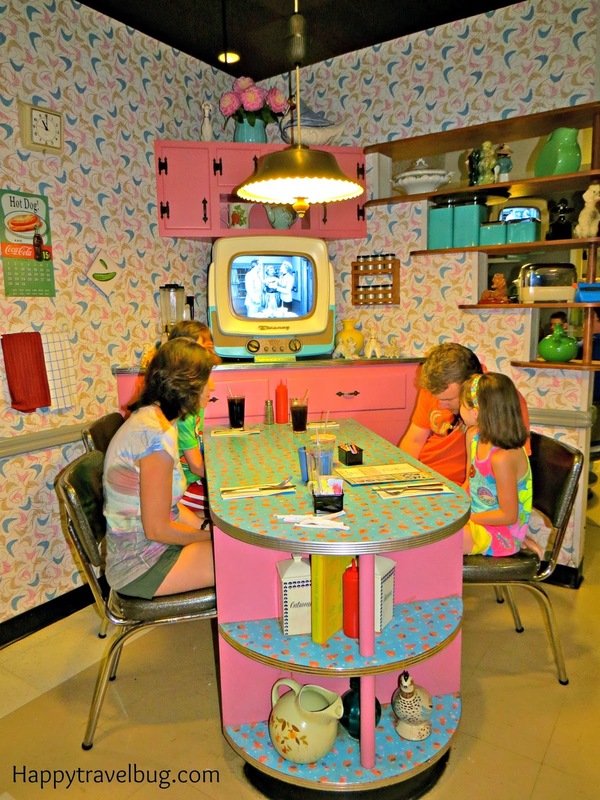 We had reservations at the 50’s Prime Time Cafe. I wrote all about the dinner HERE. 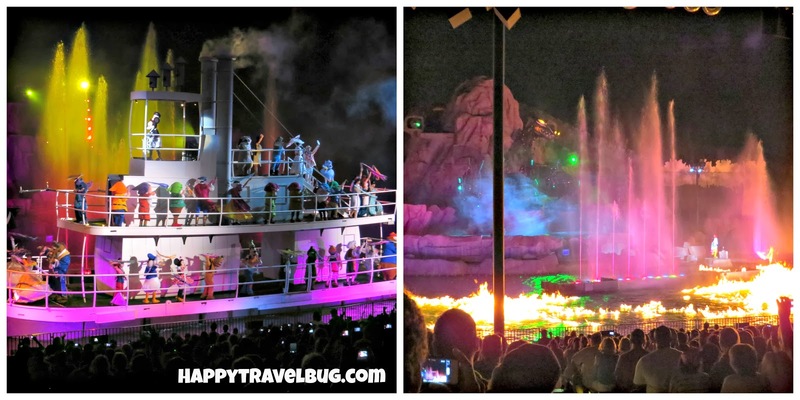 Thankfully the rain stopped in the evening and I was able to head over to Fantasmic and reserve seats for the family. It is always a good idea to send someone there early. What a great ending to a great day at Hollywood Studios! I am trying to get good video of my travels now for you guys. I know some people enjoy that over the pictures. If that is you, please head over to my YouTube channel (TheHappyTravelBug) and subscribe for all my videos. Either way, here is my video of Day 6 at Disney. Glad to see you had a fantastic time at Hollywood Studios. We love this park too and California Adventure here reminds me a lot of it including some of the rides like Tower of Terror and the Toy Story Mania. I'm not a big rollercoaster fan so kudos to you for being able to ride one repeatedly. Love those treats! Some day I want to take my kids down to Hollywood Studios. So much to explore, see, and do. Love the vintage parts to the park too. Thanks so much for sharing on Inspire Me Wednesday. Featuring you in next week's issue. Thanks, Mel…glad to be back to linking up. Who doesn't love Disney? Living in Florida, I've been there many times, but I never get enough. Now, I want to go again! Thanks for sharing.